Look, while they’re certainly not the easiest way to consume information, most companies are still using spreadsheets in order to pull a lot of different data into one place. 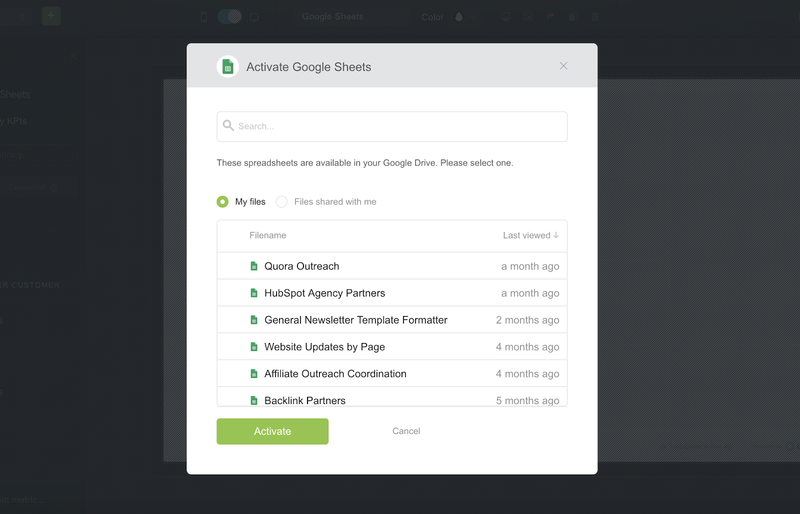 That’s the strength of a Spreadsheet–collating a lot of information in one place. And while there’s a lot of functionality within a tool like Google Sheets to categorize and manipulate the data, it’s not the best tool to present performance data to others. That’s why most people who put together Spreadsheets also look for ways to visualize the data inside of it. This way, it’s more accessible to others, whether that’s members of your own team, your bosses, or even board of directors. Here’s how to easily create a bar graph (or other visualizations) using your performance data in Google Sheets. First, you’ll want to highlight the specific cells you’re looking to visualize. In the example below, I’m going to highlight revenue from our fictional online book shop from Q1. So, I’ll highlight cells C2 through C12. Then, I’ll click the chart icon in the toolbar along the top of the menu in Google Sheets. This will automatically display the data I’ve just highlighted in my spreadsheet in bar graph form. Want to change the bar graph visualization to something else? On the chart editor on the right-hand side of your spreadsheet, click the “Chart Type” dropdown menu. 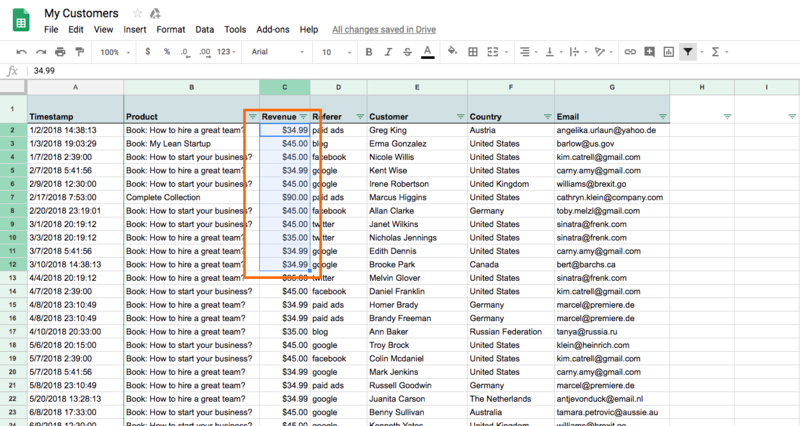 Here, you’ll see all the different options for visualizing the data you’ve highlighted in your spreadsheet. Select the one you’d like and your data visualization will change within your spreadsheet automatically. So what happens when you want to visualize data from multiple spreadsheets in one place? 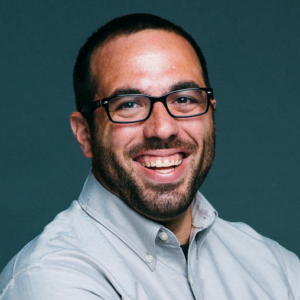 For example, say you want to visualize top-of-funnel metrics like Sessions, but you also want to include downstream performance KPIs like signups and revenue, too? In many cases, this data is pulled from different tools and is, therefore, located in several different Google Spreadsheets. 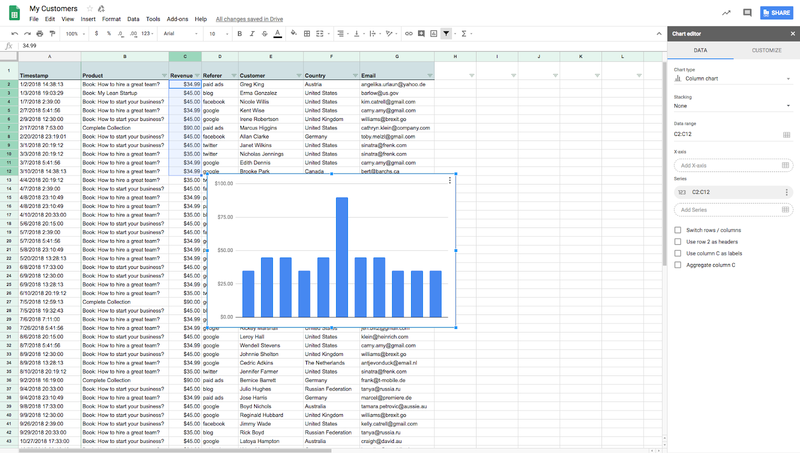 This is when things get messy and complicated and make data visualization in a tool like Google Sheets impractical. Now, with Databox’s integration with Google Sheets, you can simply connect your Google spreadsheets to Databox and visualize any of the data you have stored in seconds. First, in the dashboard designer, you’ll want to connect the spreadsheet you’re looking to pull data from. Then, you’ll select the specific spreadsheet you’d like to pull data from. Once you’ve selected the spreadsheet you want, you’ll then create the specific metrics you’re looking to visualize in the spreadsheet editor. This is super easy, as all you need to do is highlight the cells you’re looking to pull data from. First, you’ll select the data range you’d like to pull data from. Here, I select the entire year of 2018 in row 1. 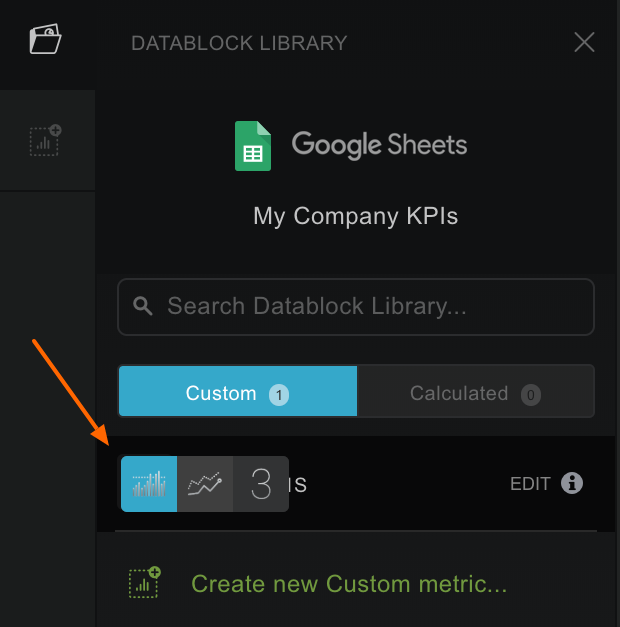 Once everything looks good, click ‘Save’ and your custom metric is now stored in Databox for you to add to any dashboard you’d like. Want to change the visualization type? Changing the visualization for a specific metric is as easy as hovering over the metric listing on the left-hand menu. Here, you’ll see hover options for the different visualization available for that metric. Simply select the one you’d like and add it to your dashboard. The Google Sheets integration is available with all plans that include our Query Builder functionality. If your plan has access to Query Builder, you can log in and start using the Google Sheets integration, as of today. If you are using a free, agency free or basic account, log in and request a trial of Query Builder. Not using us at all? Start with a free account.